Laura moved from Vancouver to Nanaimo four years ago and is honoured to be a new member of the alto section in A Cappella Plus! Laura has enjoyed singing and playing various instruments throughout most of her life. She has been a Music Therapist for fifteen years working with adults and children with cognitive, mental and physical disabilities. She is currently a manager at Island Health since completing her Masters in Leadership Healthcare. Laura’s other interests include skiing, rowing, and curling, with choral singing always being her favourite! Linda grew up in Saskatchewan and later moved to Winnipeg where she worked as an educator until coming to Vancouver Island. She received her B.A. and B. Ed degrees from the University of Saskatchewan and her M. Ed from the University of Manitoba. Linda has co-authored two books on the topic of building better schools together and she has also developed training materials to accompany them. Linda sang as well as studied piano and theory from an early age and although classically trained, she loves all genres of music. Linda co-founded Nanaimo Sings! in 2007 and is committed to supporting choral music in our community. She loves singing with A Cappella Plus. Val has been singing most of her life, first in school choirs, then church choirs, and college choirs. 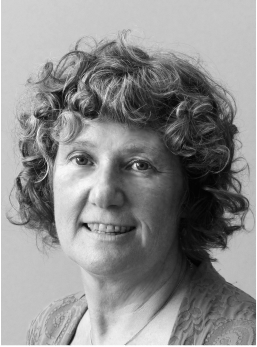 She and husband James sang in the John Bate choir in Putney, London, and on emigrating to Canada in 1975 joined the Vancouver Bach choir. Val and James are both founder members of A Cappella Plus. They have 3 grown children and 4 grandsons whom they like to visit regularly. Val volunteers at the Port Theatre, Bookfest, and Nanaimo Sings and likes to travel, walk, bicycle, kayak, garden and occasionally dabbles in writing and home decor. 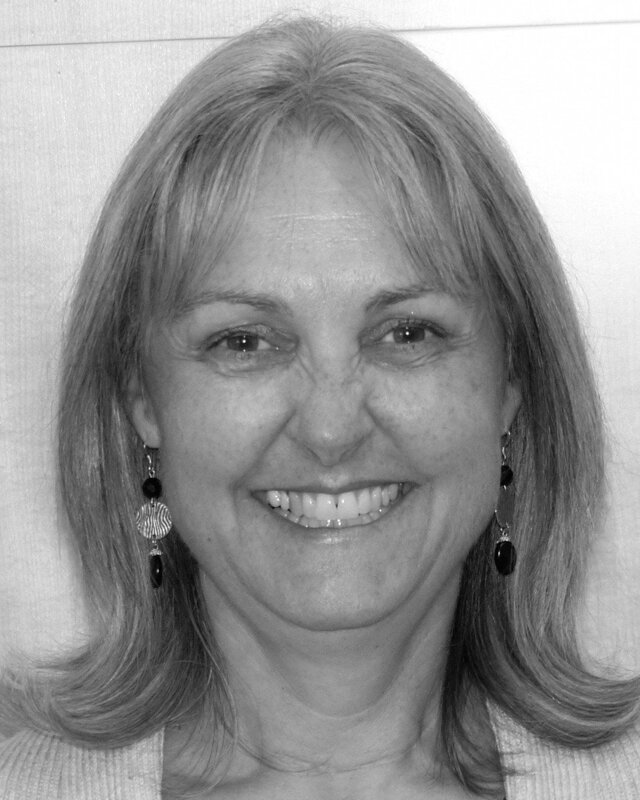 Lonnie grew up in Burnaby, B.C., received her teaching certificate from SFU and a post-graduate Diploma in Kodaly Music Education from the U. of Calgary. Lonnie retired from 32 years of teaching, mostly as a Music Specialist, in June, 2011. 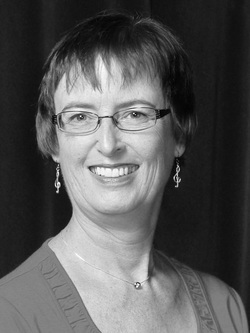 She has also been a church Music Director for over 30 years, and is currently Music Director at Brechin United Church in Nanaimo. Lonnie was fortunate to be Choral Director on a 10 month cross - Canada tour with church musician, Ron Klusmeier, directing 126 concerts. 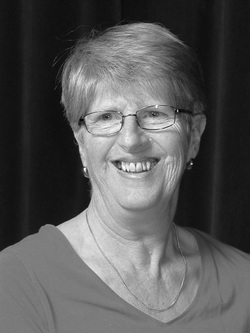 She is enjoying her second year as Music Director of the Craig Bay Choristers in Parksville. Lonnie likes to putter in the garden and play her new baby grand! Nancy Twynam has a long history of enjoying music. She began singing in junior choir at church when she was 6 years old and has never stopped. Along the way, she added various instruments to her musicality, including French Horn, piano and guitar. She joined A Cappella Plus in Fall 2010 as an Alto. Why ACP? “well, because… just watch us – you can tell that we are having fun, we enjoy being with each other, and we love the music we sing!” When not singing, Nancy’s favourite past-time is being ‘off the grid’ with her husband and family at their remotely located cabin – paddling, chopping wood, and enjoying nature.